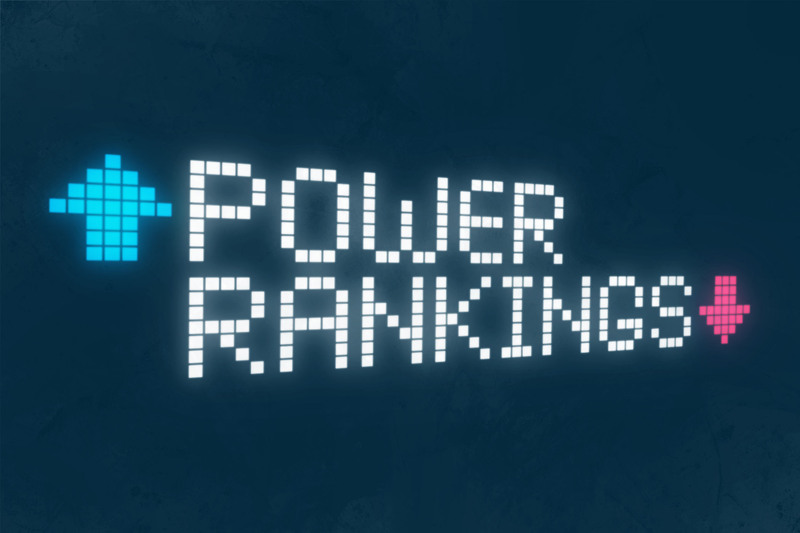 Power Rankings: Week 8 - The Point Data-driven hockey storytelling that gets right to the point. To be the best, you have to beat the best and that’s exactly what the Avalanche did, beating last week’s number one, Nashville, as part of a perfect 4-0-0 week. 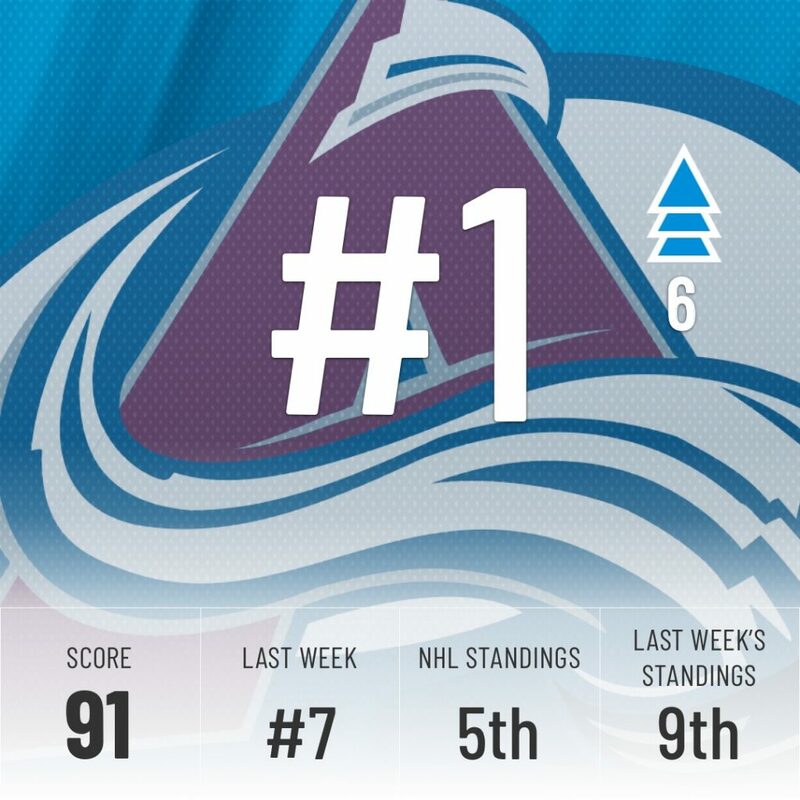 Even if they currently sit in 5th place in the standings, the Super Computer decided to reward them with a massive jump from 7th to 1st in our rankings. Having the only two players in the league to have 40+ points sure does help, too. 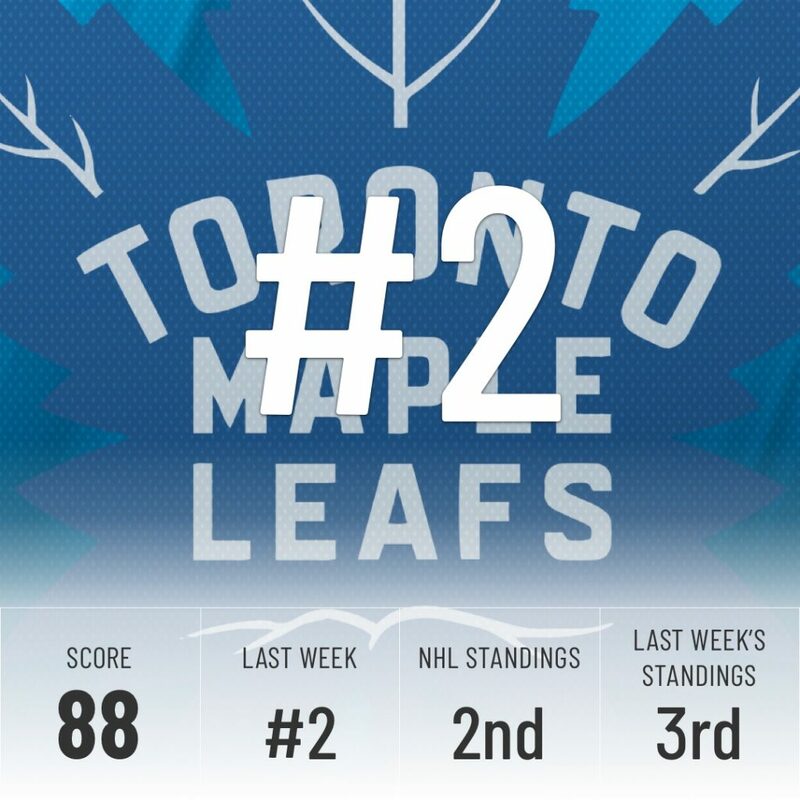 Regardless of the win-loss record, this week was always going to be a positive one for the Leafs, as they got superstar Auston Matthews back from injury. Matthews didn’t waste any time, scoring twice in his return. Their only win of the week came against the lowly Ducks and overall they scored only nine goals in four games. 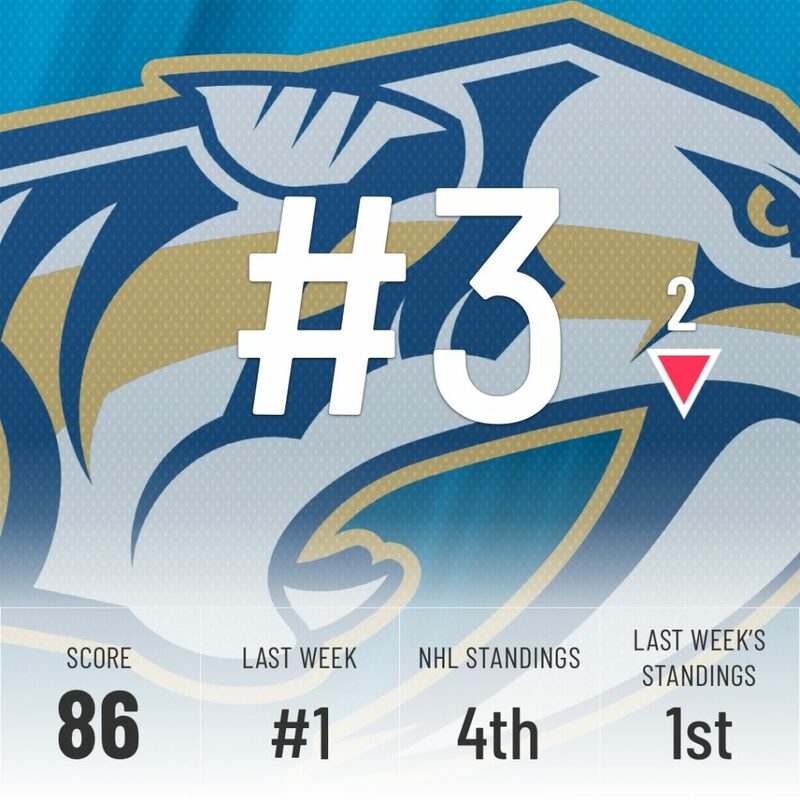 Those aren’t numbers worthy of first place, but Nashville has been so good previously they still hang out in the top 3. 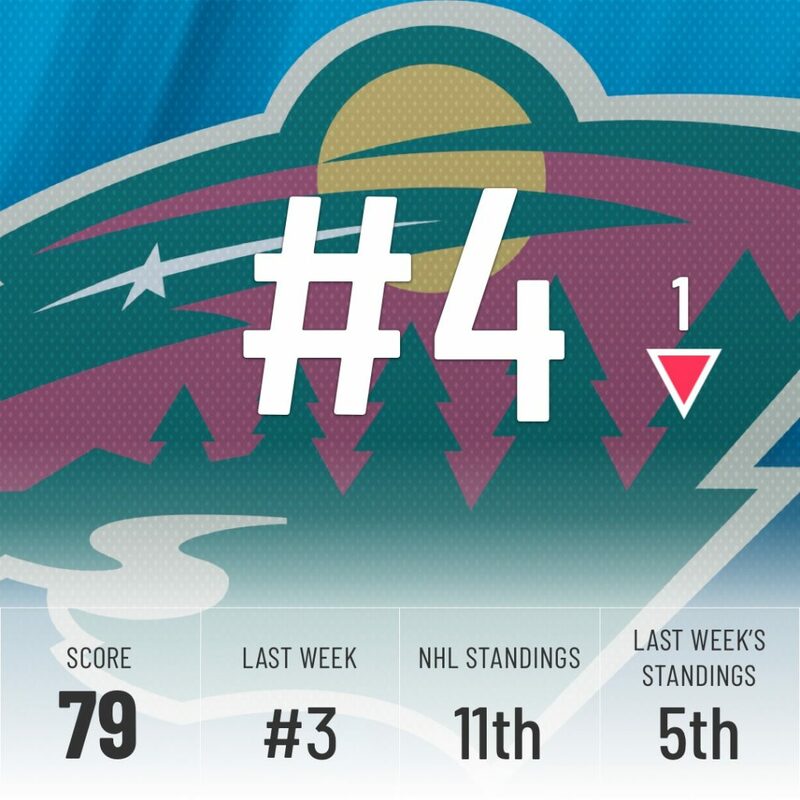 9 goals for and 10 goals against add up to a very average week for the Wild, but the Super Computer still believes this team is better than what the standings indicate. A big test awaits the Wild this week with a matchup against the #2 Maple Leafs. Patrick Laine has been unreal this month. 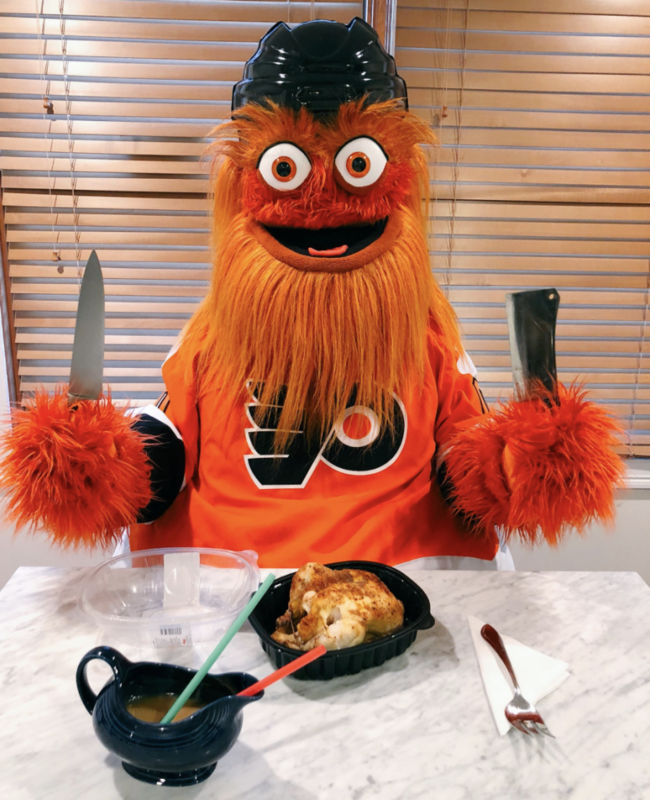 His 18 November goals, capped off by a massive 5-goal performance against St. Louis, made him only the 5th player since 1989-90 to score 18 goals in a calendar month. For good measure, Laine also reached the 100 goal mark for his career, becoming the 4th youngest ever to do so. He helps the Jets jump from 8th to 5th in our rankings. Read more about Laine’s amazing November here. 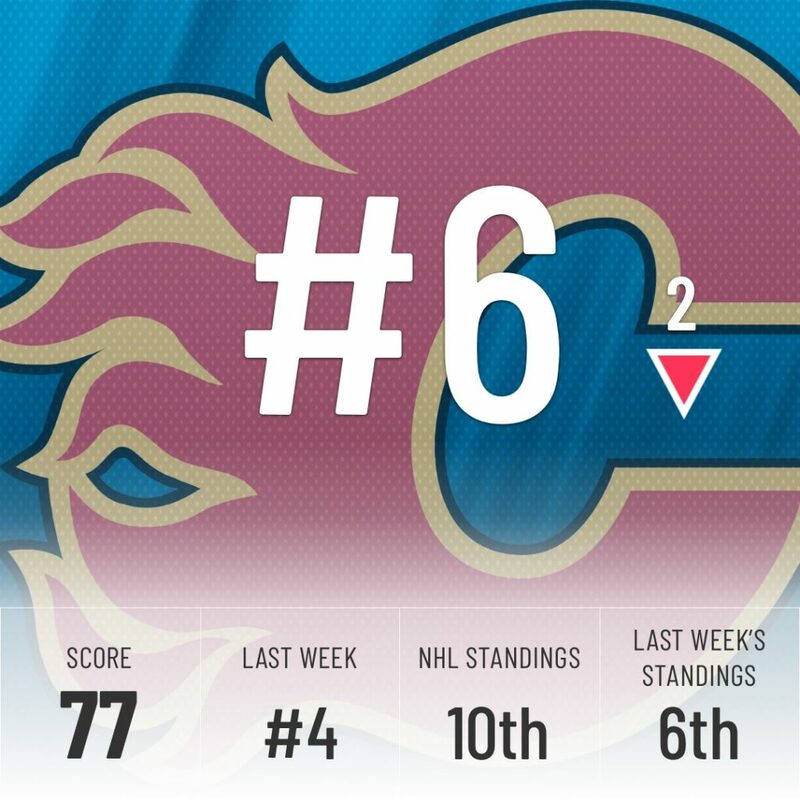 The Flames jumped up 6 places last week, but an inconsistent week cooled down the Super Computer’s enthusiasm and he knocked them back down a couple of spots. 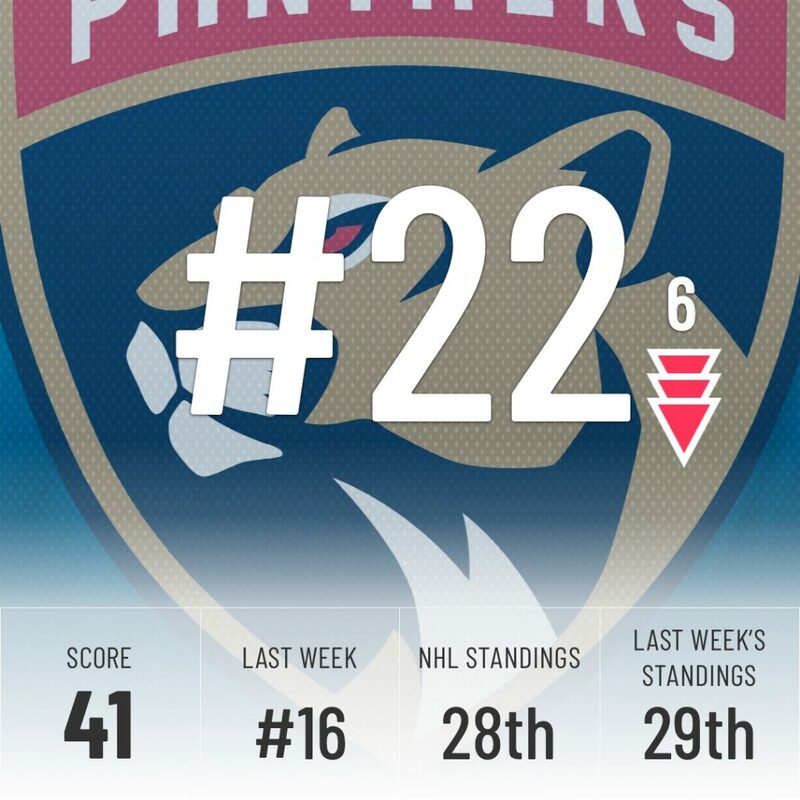 The Lightning drop in our rankings once again despite another strong week. They only lost one game, but it’s one they shouldn’t have dropped against the Anaheim Ducks. 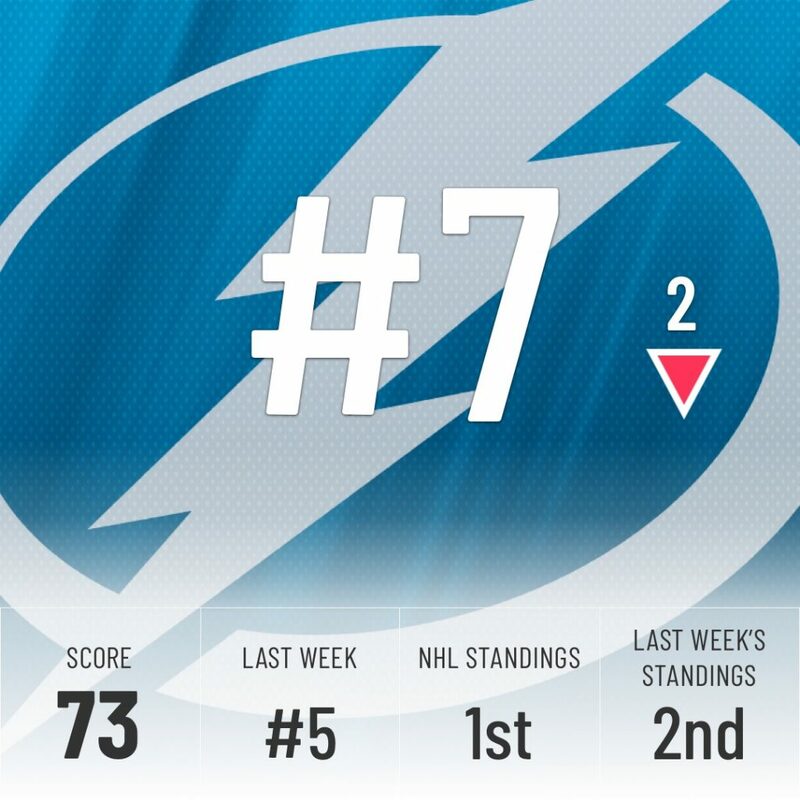 The loss of Andrei Vasilevskiy is still a big cause for concern and the Super Computer doesn’t believe they will hold on to the top spot in the standings for much longer. 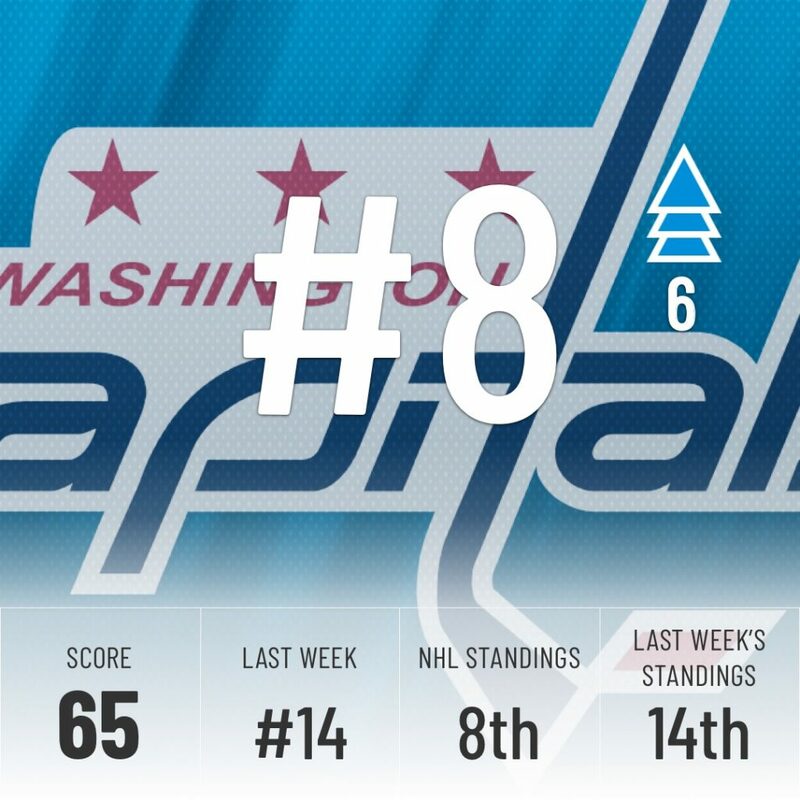 For the second week in a row, the Super Computer and the NHL standings agree on the Washington Capitals, both placing them in 8th place. They have now won eight games in a row, with three wins coming against top 5 teams in this week’s power ranking. It looks like the reigning champs may finally have recovered from their Stanley Cup hangover. What a streak for the Sabres! 10 wins in a row is obviously outstanding, but the results haven’t been backed by a sustainable process. Buffalo’s shooting percentage is sky-high, they’re one of the most porous teams defensively and goaltending has been scorching hot, as we’ve detailed here. 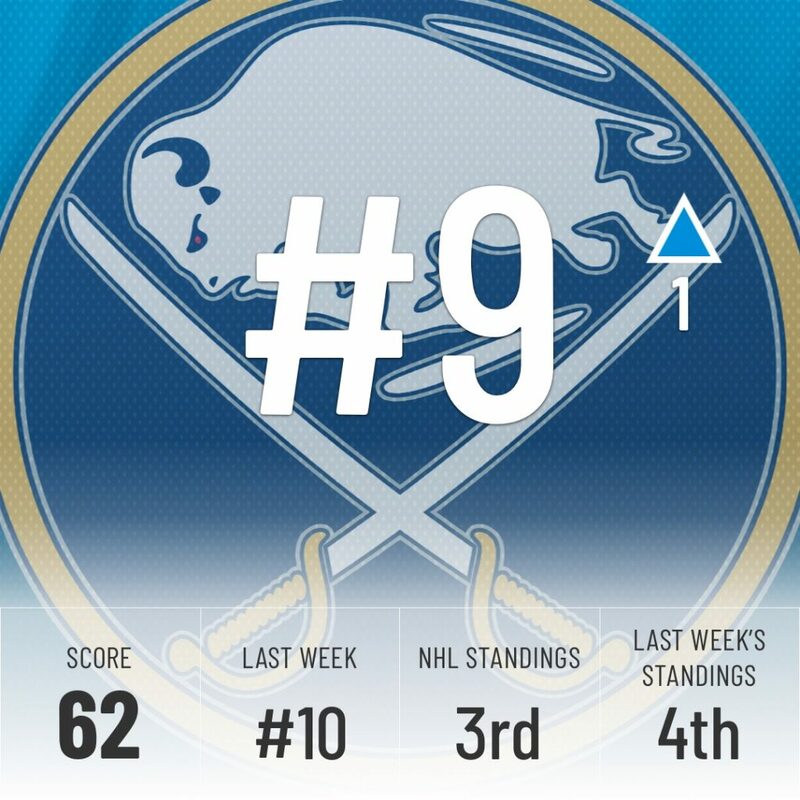 The Super Computer is still doubtful of this Sabres team being elite and believes they will slip down from 3rd in the standings now that the streak has been snapped. Hands up, we were wrong about this one. 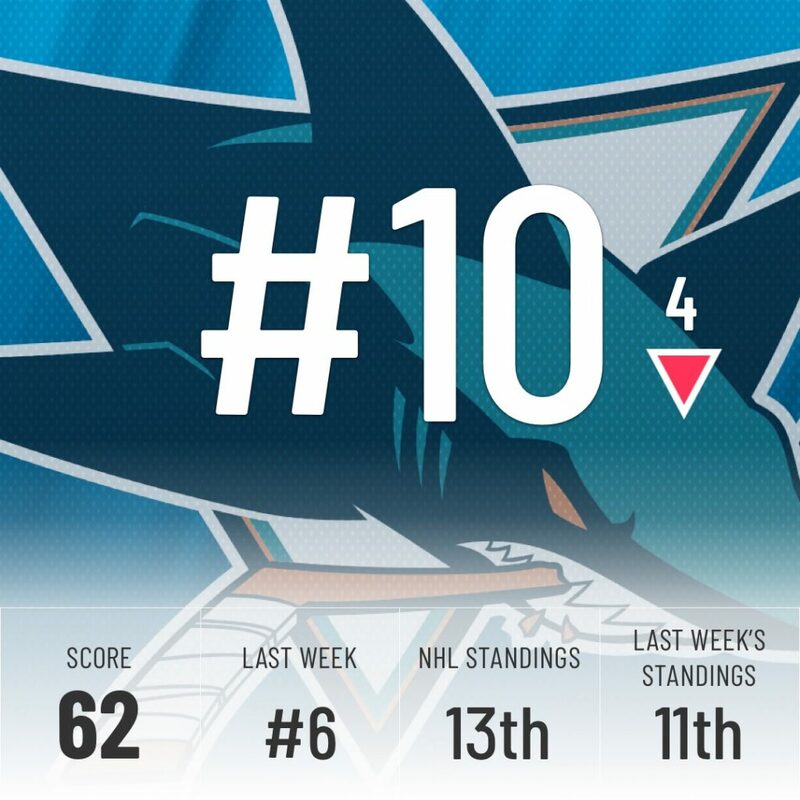 We thought the Sharks would keep moving up in the standings, but they’ve fallen down four spots instead. It was a weird week as well. It started off great with a 4-0 win against the Canucks, but it was all downhill from there. They lost the next three, including an embarrassing 6-0 loss to the Golden Knights. However, we still believe they are better than their 13th place in the standings indicate. 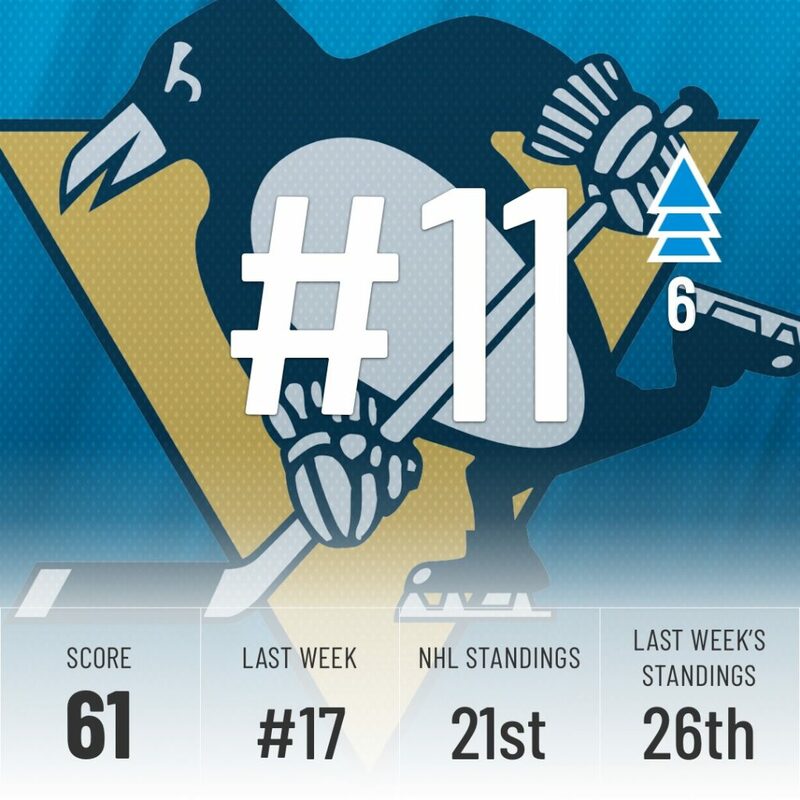 We told you Pittsburgh’s struggles were exaggerated over a week ago and the Super Computer agrees, ranking Pittsburgh just outside the top 10, despite placing 21st in the NHL standings. Tanner Pearson has made a quick impact with his new team, with 3 goals and an assist in 8 games after being held to just one assist in 17 games with the Kings. Expect Pittsburgh to keep trending up and taking their expected place in the playoff picture in a weak Metro division. 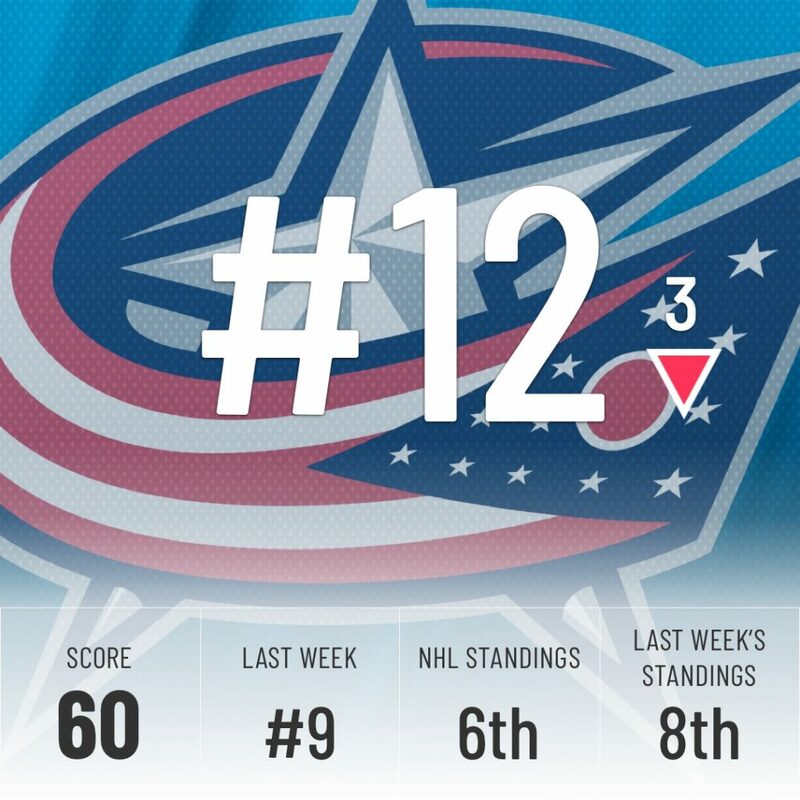 Speaking of a weak Metro division, the Blue Jackets are the current division leader despite placing only 12th in our rankings. They slid down and out of the top 10 despite a solid 3-1 week. 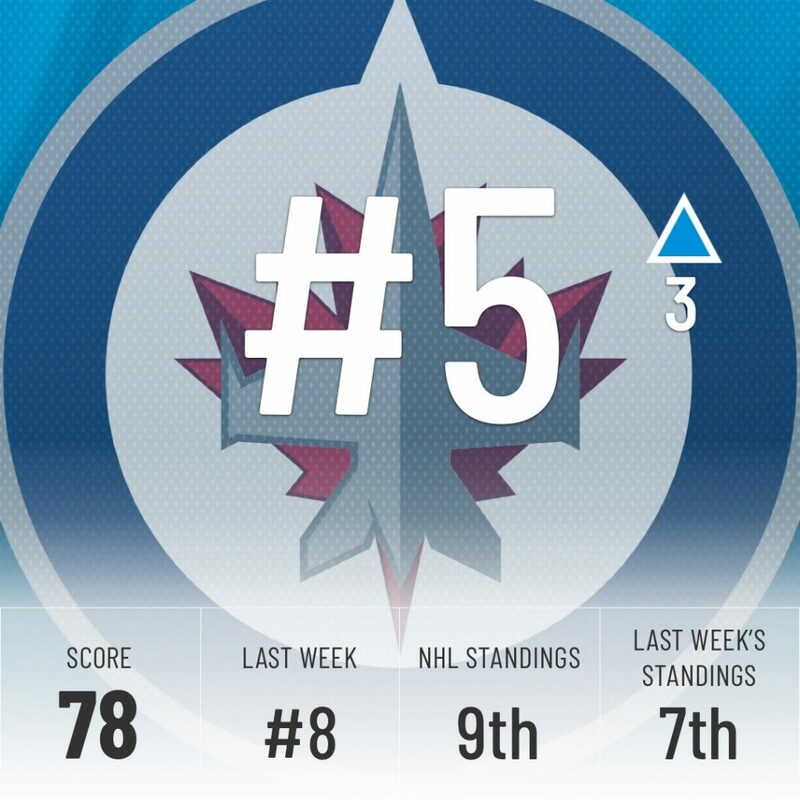 The Super Computer now has two other Metro teams jumping ahead of them in our rankings, so the Jackets will have to step up their play if they want to stay on top of the division. 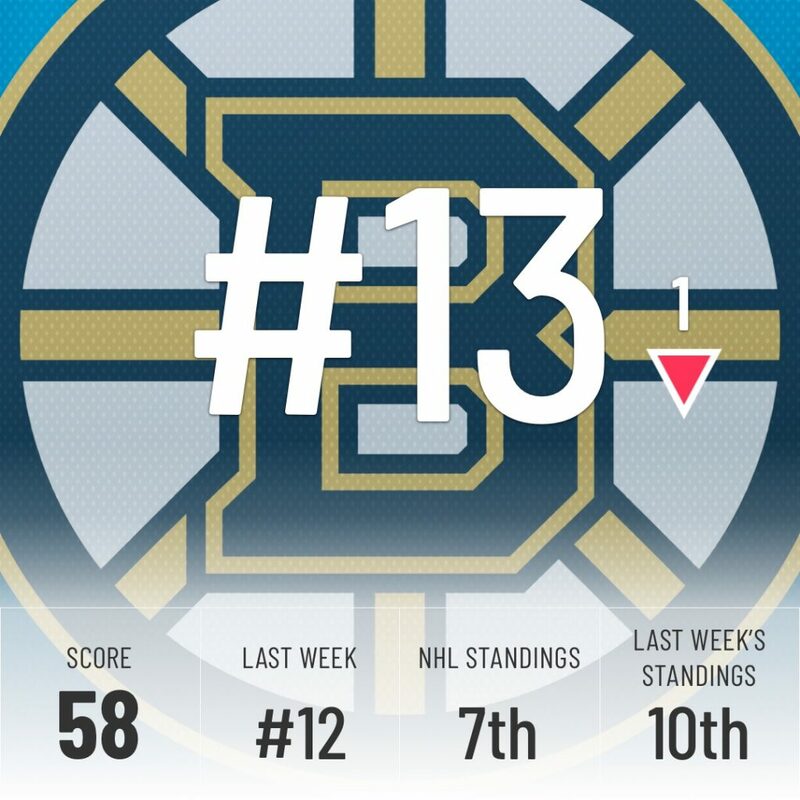 It’s tough to accurately rank the Bruins since we haven’t really seen them at full strength this season. As of now, they have a number of key players out of action, including their number 1 center, Patrice Bergeron as well as their first defensive pairing in Zdeno Chara and Charlie McAvoy. Despite that, they still pulled off a 3-1-0 week. If the shorthanded Bruins still rank in the top half of the league, there’s no telling what a healthy Boston squad could do. 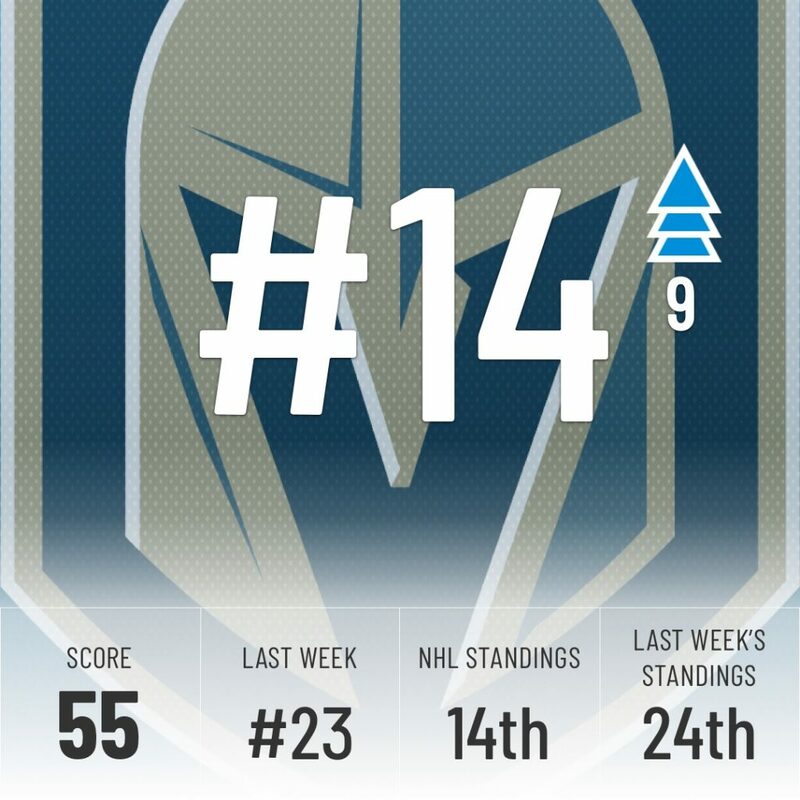 Last week, we said the Golden Knights needed to start stringing a few wins together before they dig themselves too big of a hole. Well, that’s exactly what they did. They won all four of their games, shutting out the Flames and Sharks in the process, both top 10 teams in our rankings. Over those four games, they outscored their opponents 20-6. 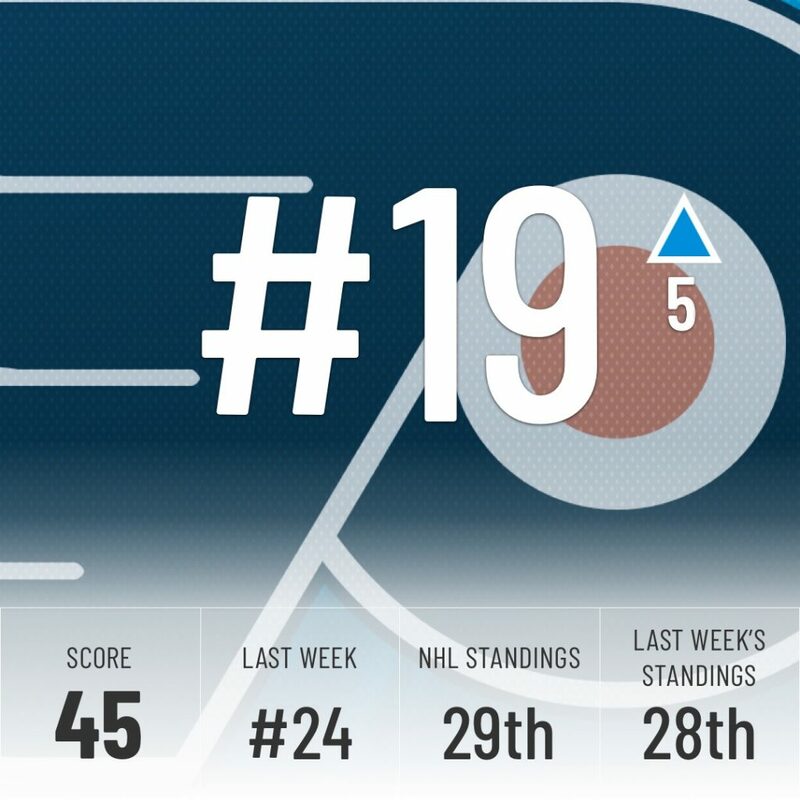 They jump a massive nine spots in our rankings, matching their 14th place in the NHL standings. Dallas’ week included a lot of close calls. Three of the games were decided by one goal, and two required extra time. 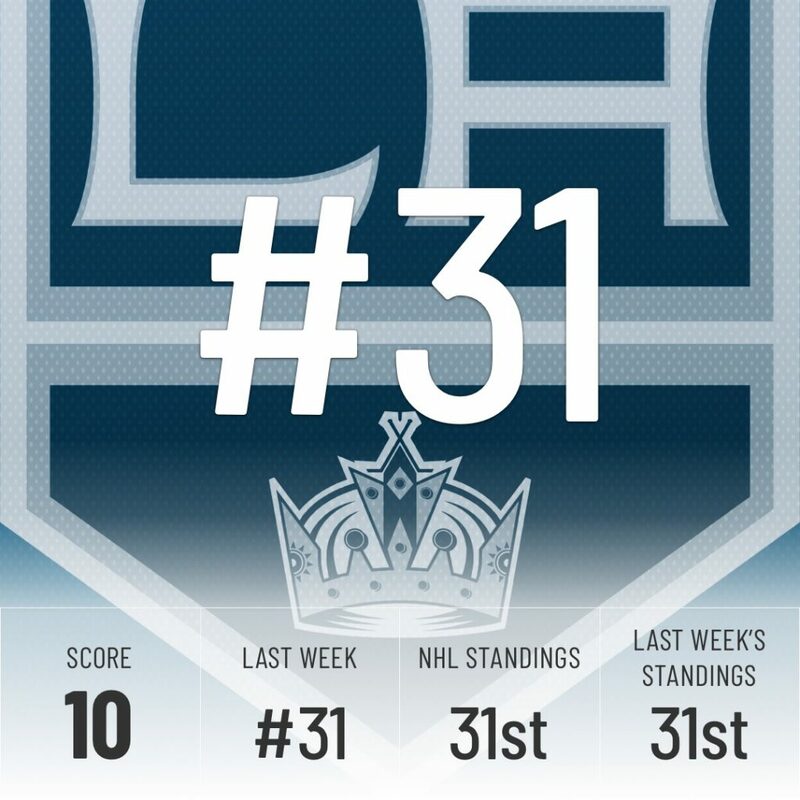 Still, their 2-1-1 week was enough for the Super Computer to move them up from 20th in the rankings, still below their 12th place in the NHL standings. The Stars are doing their best to stay afloat in a tough Central division while star defenseman John Klingberg is out with an injury. They’ve done an admirable job so far, going 4-4-2 without their blueline leader, but they’ll have to do more than hover around .500 without Klingberg to keep up with the leaders in the Central. The Hurricanes have had a good week, winning two out of three, but the story remains the same in Carolina. They generate the 2nd most shots on net from the slot but rank all the way down to 28th in goals scored. Until they can find the back of the net with more regularity they won’t be able to move up much higher. They won’t be able to rely on 48-save performances from Curtis McElhinney on a nightly basis either as they did against the Habs. 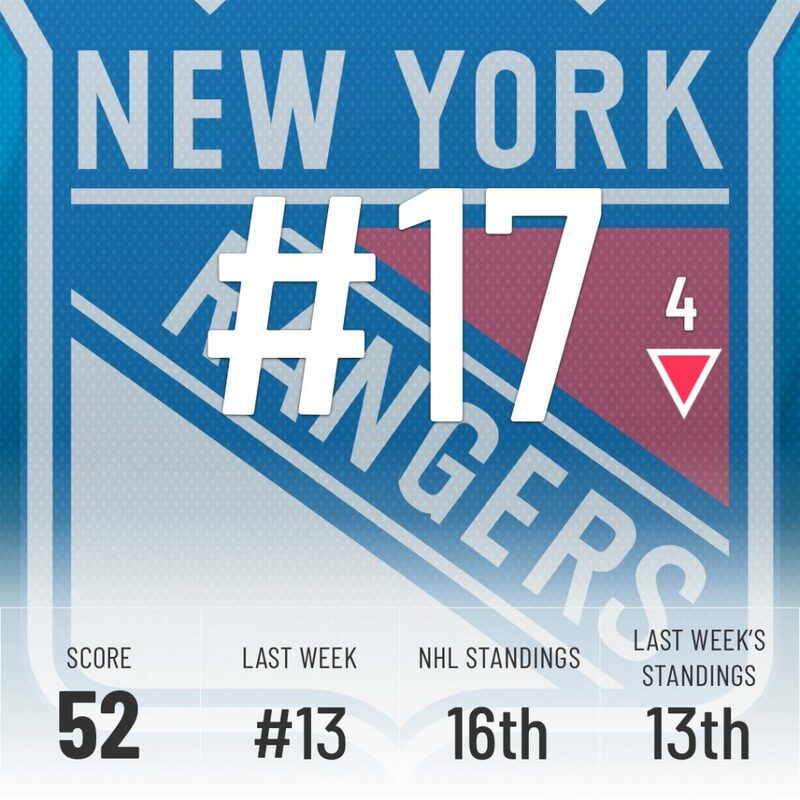 The Rangers showed up within reach of the top 10 last week, but a 1-3-0 week gets them back down in the bottom half of the league. They were shut out by Calvin Pickard of the Flyers (since waived) and Craig Anderson of the Senators, who currently holds a poor .903 save percentage. Overall they were outscored 7-14. Not the most encouraging of weeks. The Habs were winless in three games, but it was still a positive week for their big-picture outlook. Shea Weber suited up for his first game since being named captain of the team at the start of the season and recovering from knee surgery. Montreal has struggled defensively since the start of November and, while it will not solve every issue they have, there is no doubt his presence will be a big boost to the team. We’ll have to wait and see how much of an impact he will have. 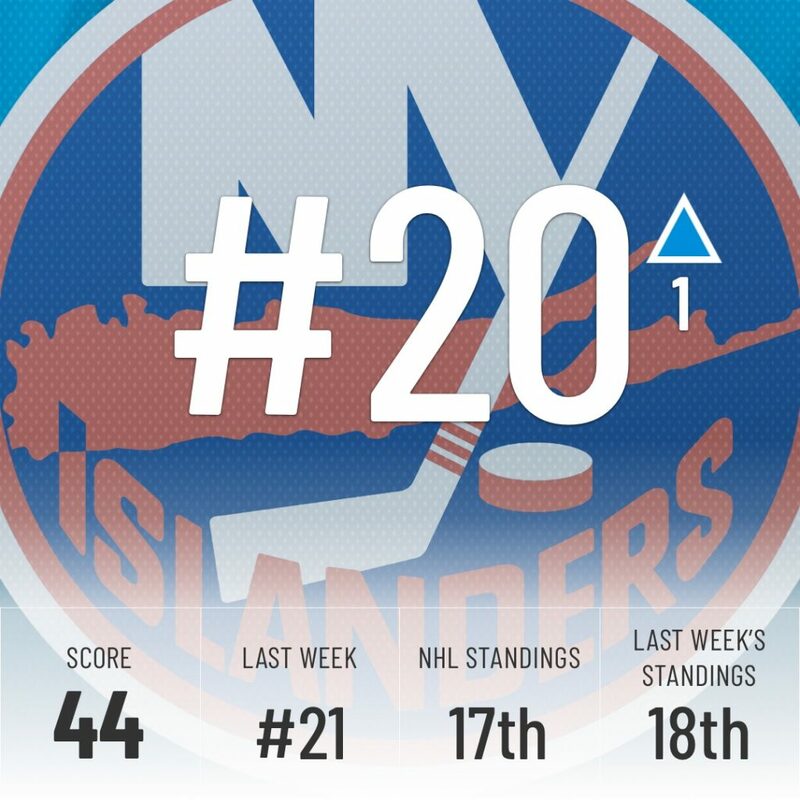 The Islanders were running hot before falling 10 spots in last week’s power rankings, a result of being outscored 11-2 in two games. They’ve performed better this week, going 2-1-0, but they posted a goal differential of just +1 (10-9). This is more representative of what they are, an average team. 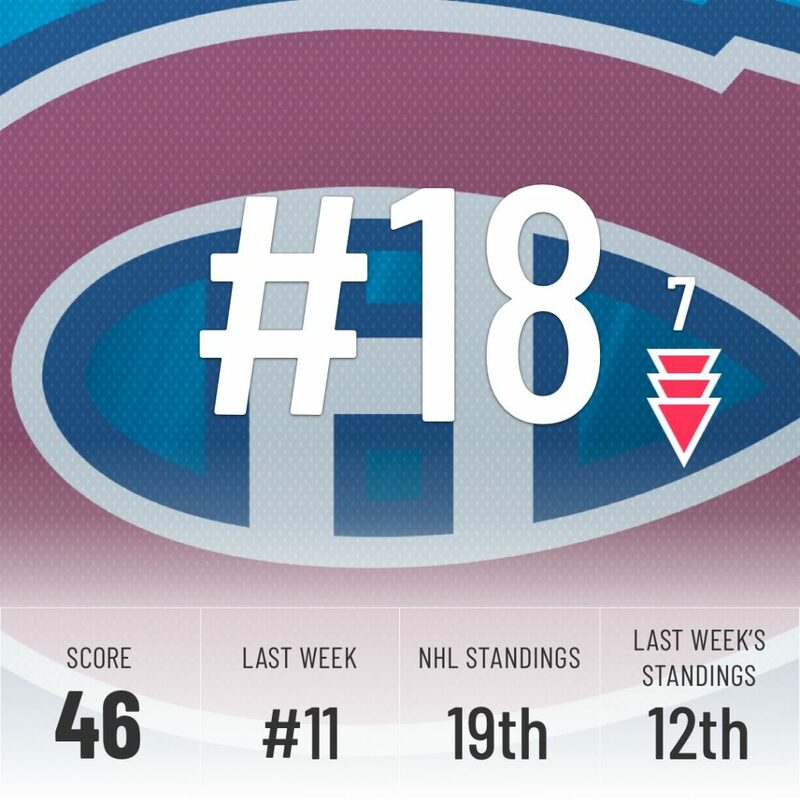 The Super Computer predicts they will continue to fall in the standings, where they currently rank 17th. 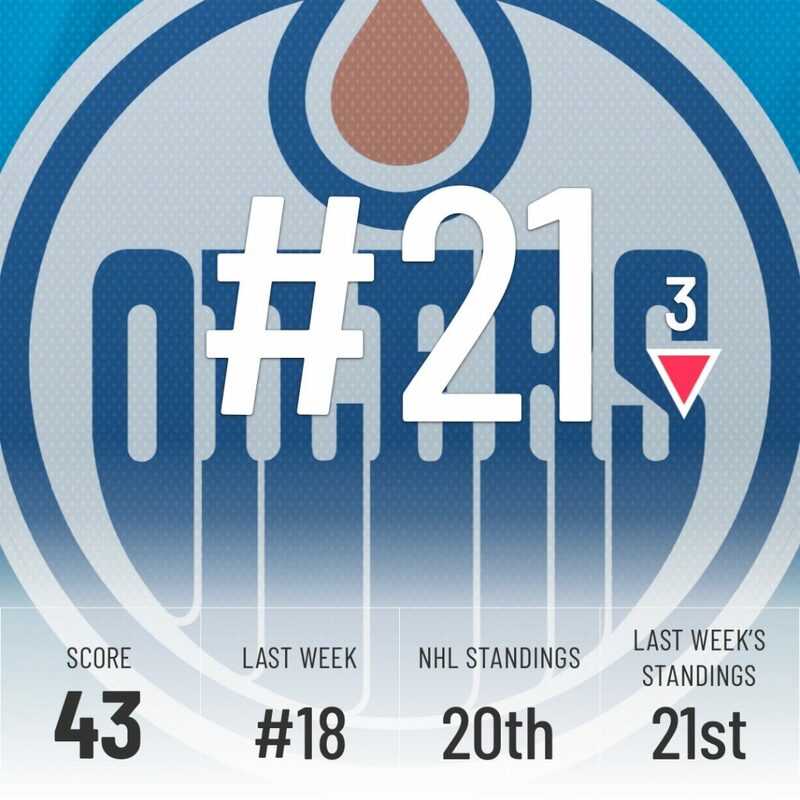 The Oilers are 3-1-1 since Ken Hitchcock took over as head coach. Since Hitchcock’s arrival, Connor McDavid and Leon Draisaitl rank 1st and 2nd in ice-time per game among forwards. They both have logged over 23 minutes of ice-time per game, with McDavid clocking in at 24:06. That’s comparable ice-time to a number 1 defenseman. Playing your two best forwards a ton of minute is logical, but doing it to this extent could be detrimental over the long run. Another week below .500, another week that the Super Computer ranks them higher than their spot in the standings. This team is playing better than their record indicates, but if they continue to lose games they should win, like their losses to the Blackhawks and Ducks, they might find themselves too far out of the playoffs to climb back up, just like last season. The clock is ticking. 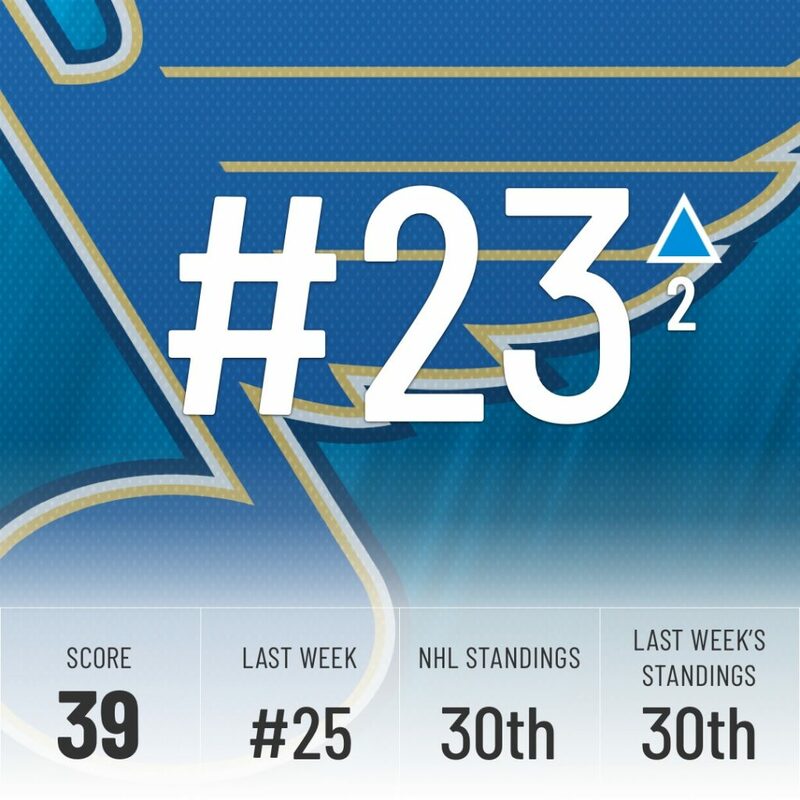 It was an odd week for the Blues. They had what looked like a statement 6-2 win over the Predators only to lose 5-4 to Patrick Laine (and 8-4 to the Jets). 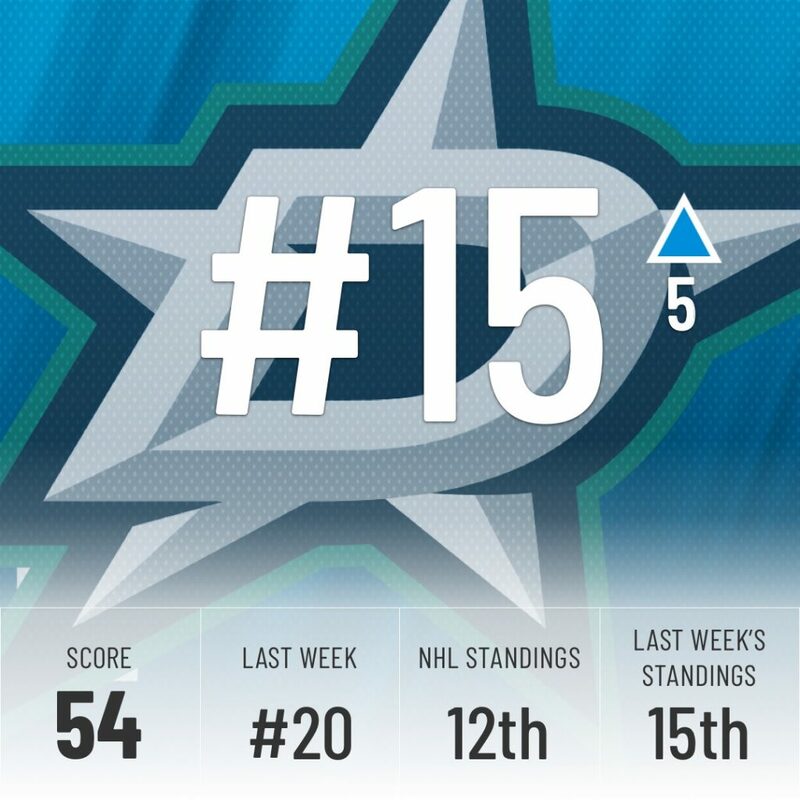 The Super Computer still likes them enough to bump them up a couple of spots, but just like the Stars, it’s going to be tough for them to move up in the loaded Central division. 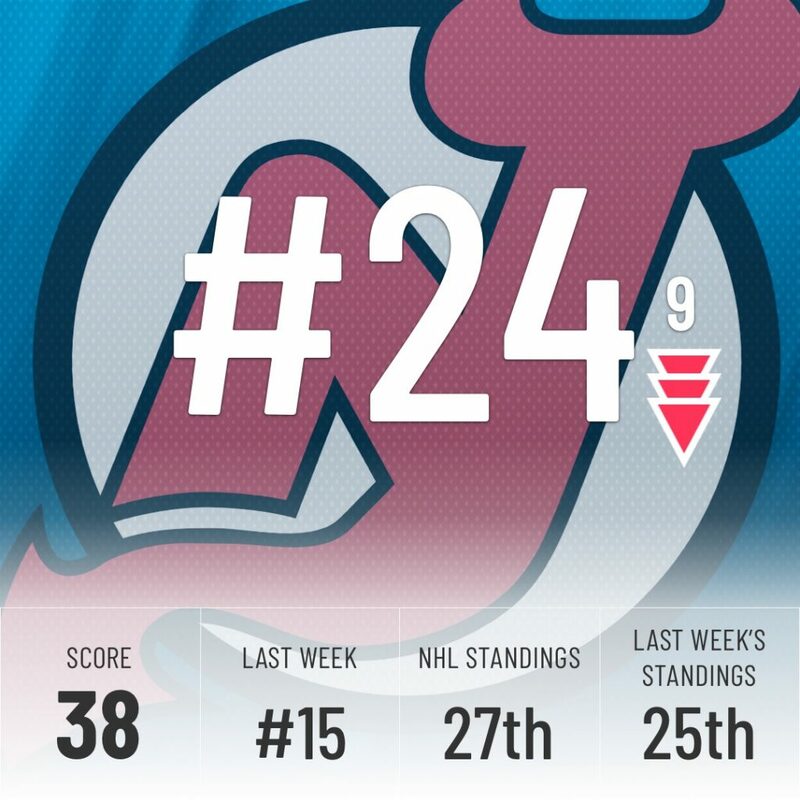 A winless week didn’t please the Super Computer, dropping the Devils down 9 spots, much closer to their 27th place in the standings. They’ve lost the machine’s confidence and they have a tough week ahead of them, with games against the Capitals, Jets, and Lightning coming up. We’ll know more about where this team truly stands after they face that gauntlet of top-10 teams, but the Computer doesn’t like their chances. 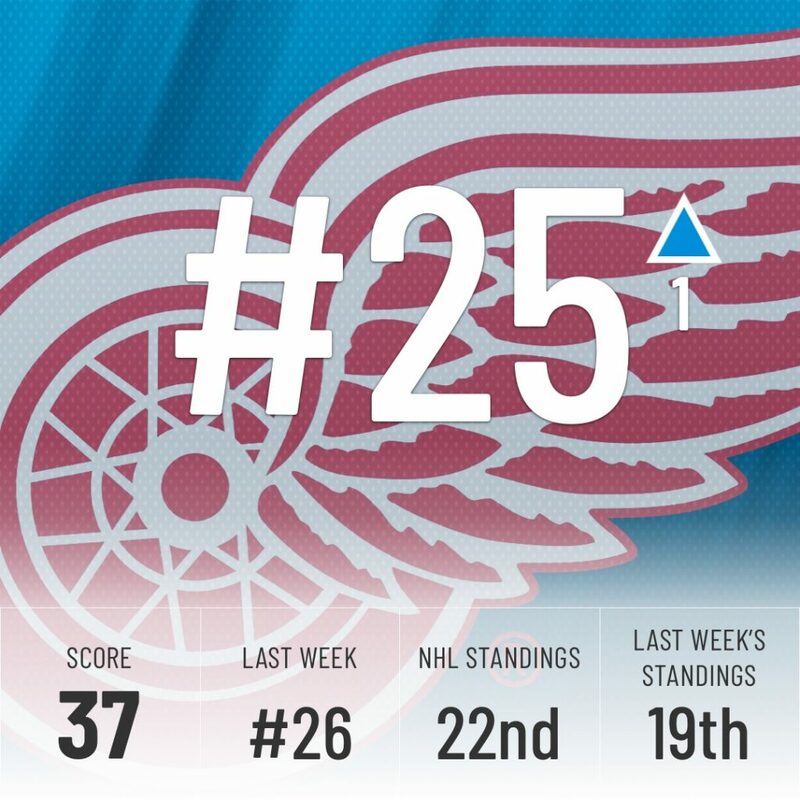 Detroit went 1-2-1 in the last week and currently sits 22nd in the standings. We have them a few spots lower as a week of games against the Bruins, Avalanche, Lightning and Maple Leafs are sure to bring about a few more losses. 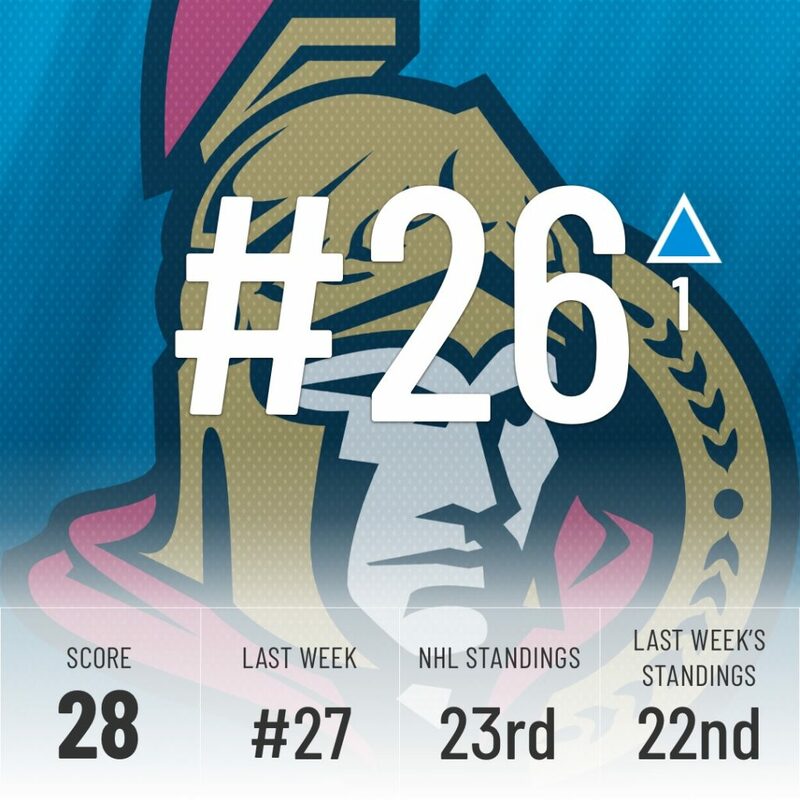 The Senators have strung a couple of wins together and currently sit 23rd in the standings. They are a fun team to watch. Ottawa scores a ton of goals but boy do they ever allow a ton, too. Drake Batherson and Matt Duchene are building some great chemistry as Duchene currently leads all players in even-strength scoring in November with 19 points. Brady Tkachuk is establishing himself as a premier net-front player – more on that here. The Sens are still a nightmare defensively and will be a bottom 10 team as a result. Don’t look now but here come the ‘Yotes. 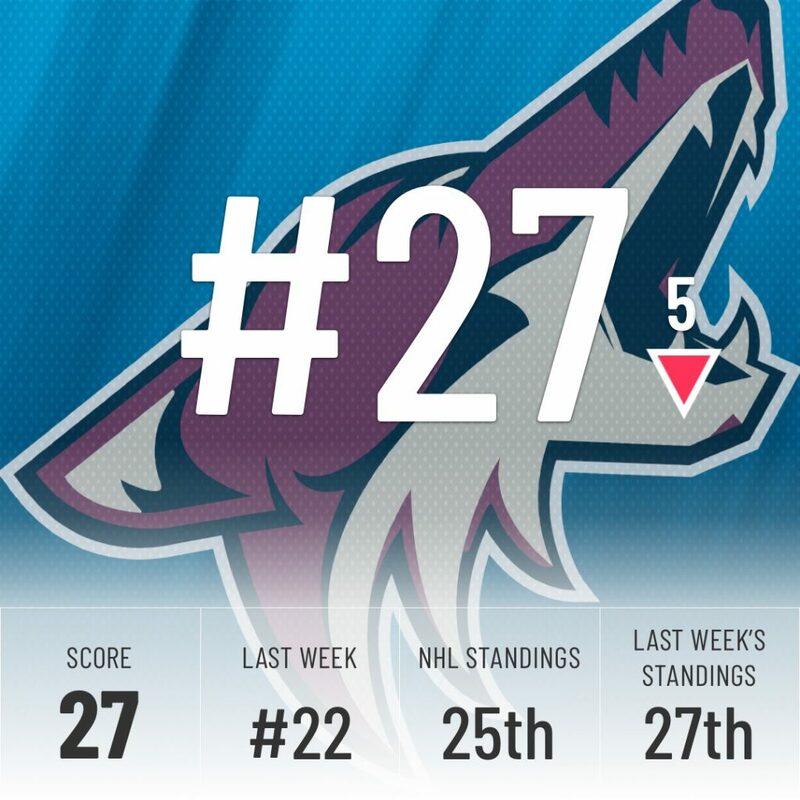 After starting the week with losses to Colorado and Calgary, the Coyotes have rattled off a couple wins against the high powered Wild and Predators. That didn’t stop the Super Computer from slapping them right in the face, dropping them 5 spots in our rankings but don’t be surprised if this team moves up next week. We are still pretty high on Arizona competing for a playoff spot this season. A healthy Antti Raanta would help. The Ducks went 3-1-0 in the last week, impressive for a team that is finally starting to shed its label as a defensive nightmare. 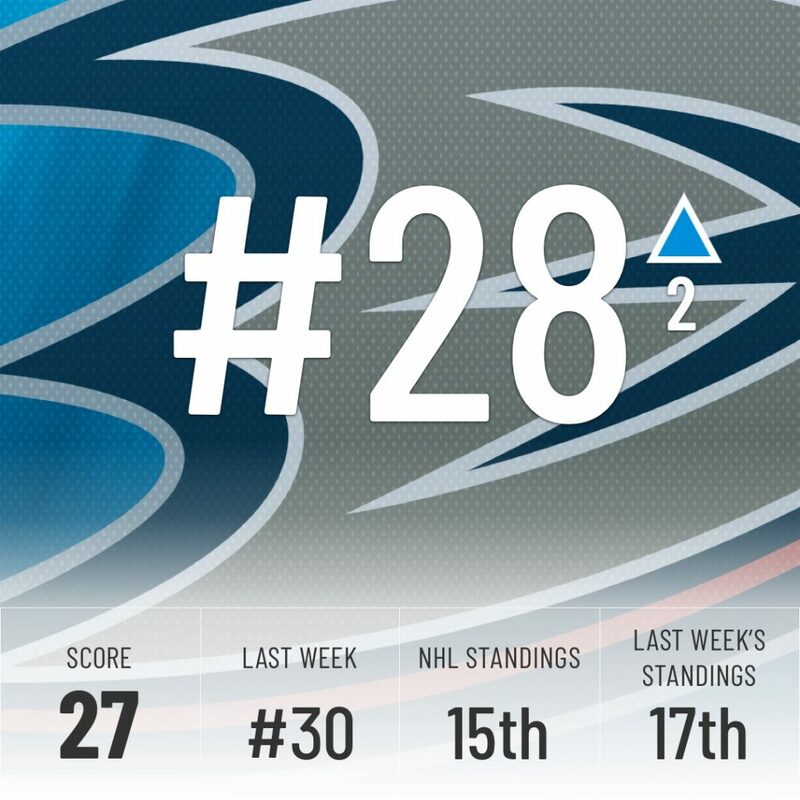 Slow and steady, the Ducks are moving up, 2 spots in our rankings this week. 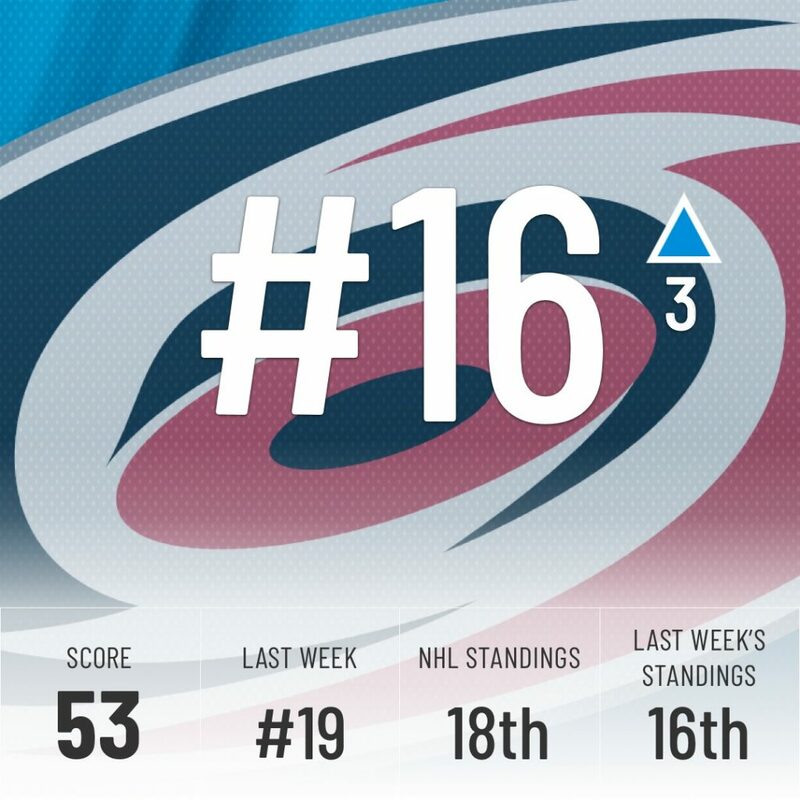 They are still a long way off, in the opinion of the Super Computer, from their 15th place spot in the standings but, we’ll see what they can do with Canes, Caps, and Hawks coming up. 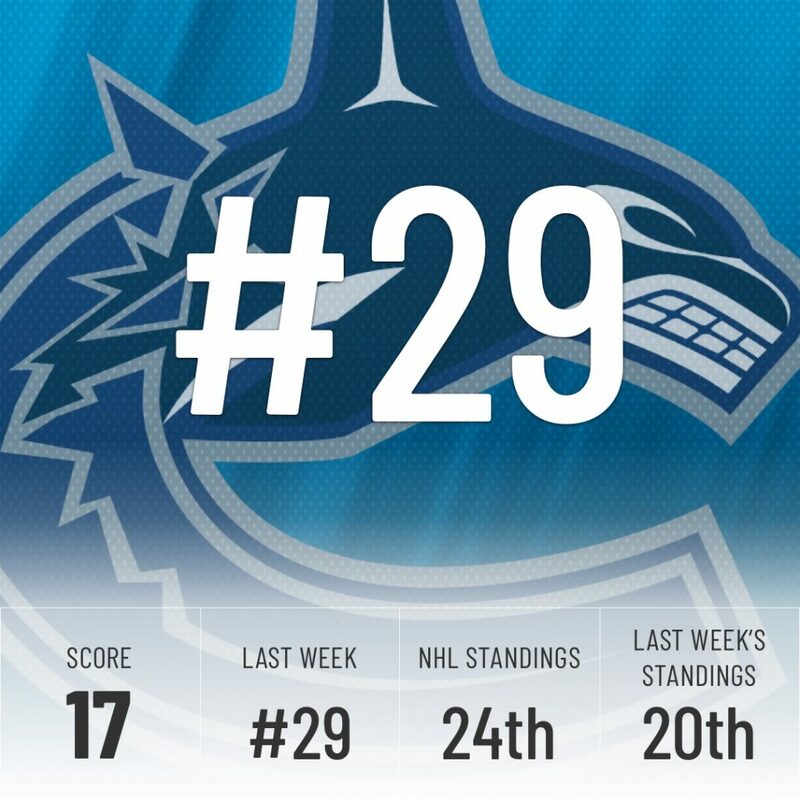 The Canucks continue to trend down in the standings, just like the Super Computer predicted. They’ve fallen from 12th to 24th in the last two weeks alone and we predict they will continue to fall down. At least Canucks fans have this sweet assist from Elias Pettersson to appreciate this week. Lose 3 of 4 games and allow 21 goals in the process and you’re going to take a dip in our Power Rankings. That’s exactly what the Blackhawks did as they now rank as our 2nd worst team in the NHL. 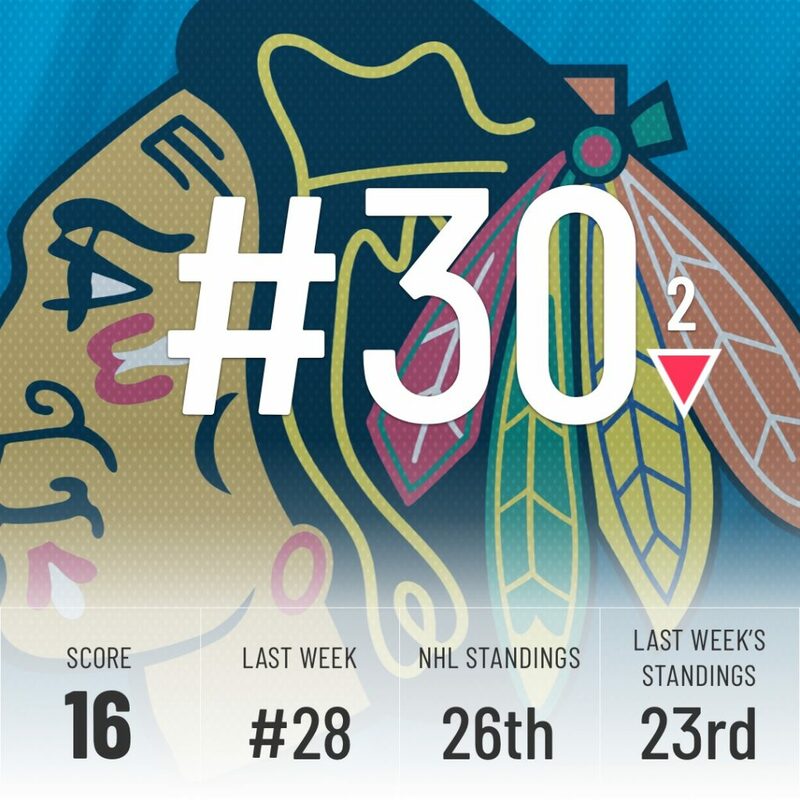 Chicago’s -23 goal differential is tied for the worst in the league with the team that has occupied last place in our rankings every week – more on them in a second. The Hawks allow a ton of chances and are a nightmare in their own end. Head coach Jeremy Colliton was none too happy after last night’s loss but the bottom line is this team isn’t good enough to compete in the Central division and until they upgrade on defense, they will struggle to win games. They’ve been 31st in our rankings since we started doing them. If that ever changes, we’ll let you know.